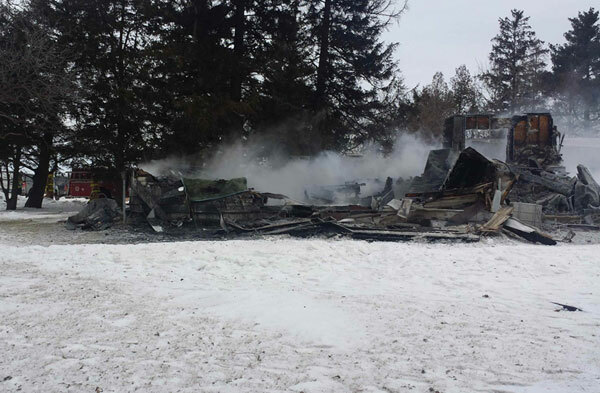 The Fayette County Sheriff says at least 5 people died in this house fire near Arlington. The cause of a house fire that killed five people in northeast Iowa last Friday remains under investigation. The victim’s names have not been released, but they’re identified as three adults and two children. The fire happened just southwest of Arlington in Fayette County. The fundraiser was organized as a way for employees to help the family, but Allen said anyone can send monetary donations to the Grandview Health Care Center and they’ll be directed to the family. The address for the Grandview Health Care Center is 800 5th Street Southeast, Oelwein, Iowa, 50662. Ron Humphrey, with the State Fire Marshal’s office, said on Friday that the damage to the home is so bad that the cause of the fire may never be known.